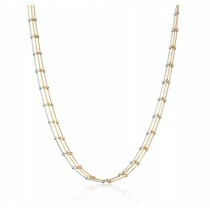 A long necklace by designer Mark Milton made from three strands of fine chain interspersed with tiny solid silver beads. Each strand is made of yellow, white or rose gold vermeil (sterling silver plated with 18ct gold). The total length is 34 inches. Vermeil is sterling silver plated with 18ct gold. This fashionable vermeil chain by designer Mark Milton is elongated with seven large open links and measures 32 inches in length. A matching bracelet is available; see 2725373. Three small circles of diamonds add a little sparkle to this fancy link bracelet. 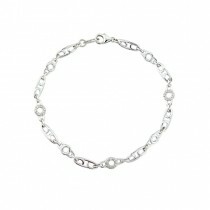 Made of solid 9ct white gold, this bracelet is 7.5 inches long and will add a little something to any outfit. An unusual and elegant necklace of graduating chain lengths in yellow, white and rose gold vermeil (gold plated sterling silver) from designer Mark Milton. The necklace is interspersed with occasional small round silver beads. Lengths graduate from 27 to 34 . A pair of pearl and diamond halo earrings. 9ct white gold 8mm round cultured pearls surrounded by a shimmering halo of round brilliant cut diamonds. A solid, heavy pendant crossed with fine ribbons of 9ct yellow gold and set with four diamonds, from designer Mark Milton&apos;s collection. Highly polished for a clean, classic look, this contemporary pendant is 40mm high. Wear it with your best white shirt. 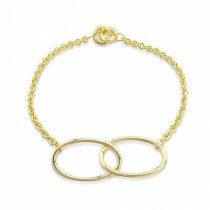 This stunning fixed torque necklace by designer Mark Milton is 18ct yellow gold plated sterling silver. Square in section with a polished finish this is a real showstopper piece which goes perfectly with low simple necklines. Measures 16.5 inches. This fashionable but simple contemporary vermeil gold chain bracelet by designer Mark Milton is elongated with two large open links. A matching long chain necklace is available; see 2710236. What is Vermeill? Vermeil describes jewellery comprises sterling silver with a thick layer of 18ct gold. 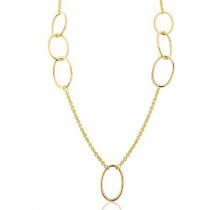 An elegant link necklace with a fluid, open style from designer Mark Milton. Each link is formed from four fine strands of milled gold giving a rich, textured finish. A matching bracelet is available; see 2272428. 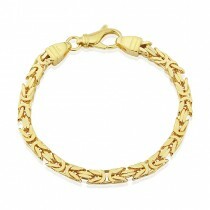 An elegant link bracelet with a fluid, open style in 9ct yellow gold from designer Mark Milton. Each link is formed from four fine strands of milled gold giving a rich, textured finish. A matching 18 necklace is available; see 2235301. Vermeil is sterling silver plated with gold, in this case 18ct gold. This chunky angled bangle is perfect as a single, bold statement piece or as part of a stack with designer Mark Milton&apos;s other Spotlight bangles and cuffs. This beautiful Treasure Swirl ring from Mark Milton in sleek white gold features a beautiful 8mm white cultured pearl with a border of white diamonds, making this a great addition to a wedding outfit or just a fabulous party ring.